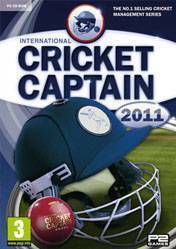 Cricket Captain 2014 is a management Cricket teams simulator. Now come back to the 2014 season, with a lot of additions: New interface, updated 3D graphics engine, and all the attention to detail you would expect from the series. Cricket Captain has been hailed as the best cricket management simulator of all time. Among the virtues of this new release, we can highlight: The addition of new stages, new game modes, among which are the World Cup, Cup Winners and others mode. Also incorporated for the first time the online mode, wich you can play in national and international games via Internet, adding Match Engine, giving greater realism to games, statistics, games and more. There are no comments yet about Cricket Captain 2014 . You can be the first one!